The caption jinx strikes again. Somehow a picture of a chap with rhubarb has been substituted for one of cowpats. You have got to check every picture and caption before the page goes. This is a grievous lapse of taste and basic manners. 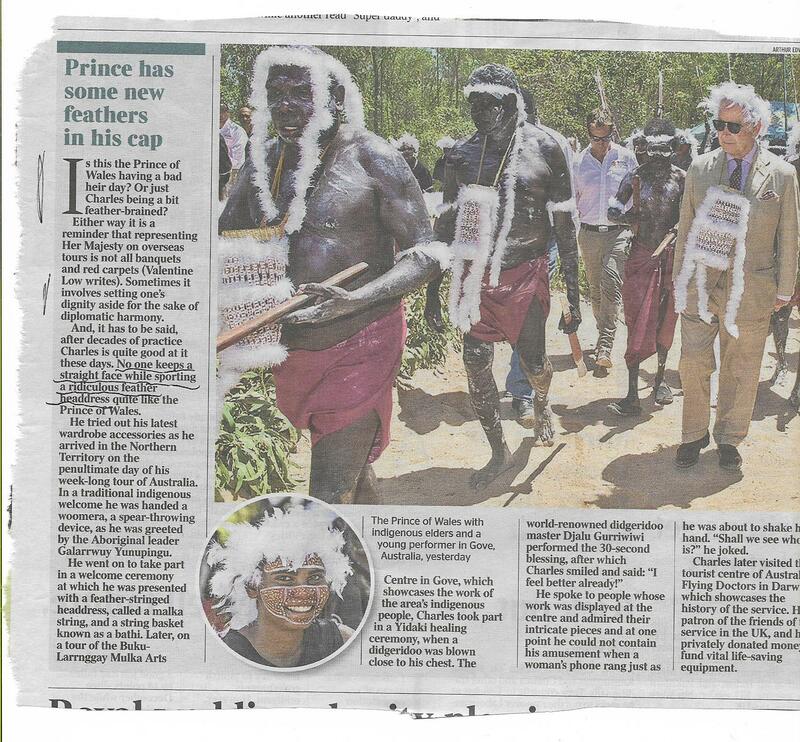 It is unacceptable to make fun of a headdress from another culture and call it ‘ridiculous’. 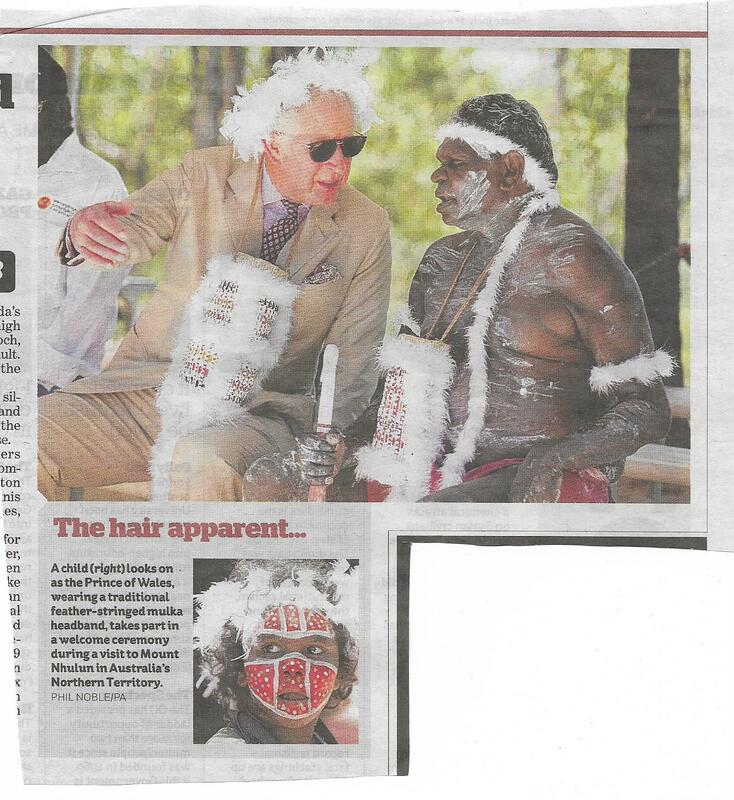 It is disrespectful to the Aboriginal people, as well as Prince Charles, and smacks of racial superiority. I would expect the Times to receive a lot of complaints about this. Two for the price of one. After the acres of newsprint on Jimmy Savile, it is hard to believe anyone in the country doesn’t know how to spell the name, let alone someone who is presumably paid to work on a paper. 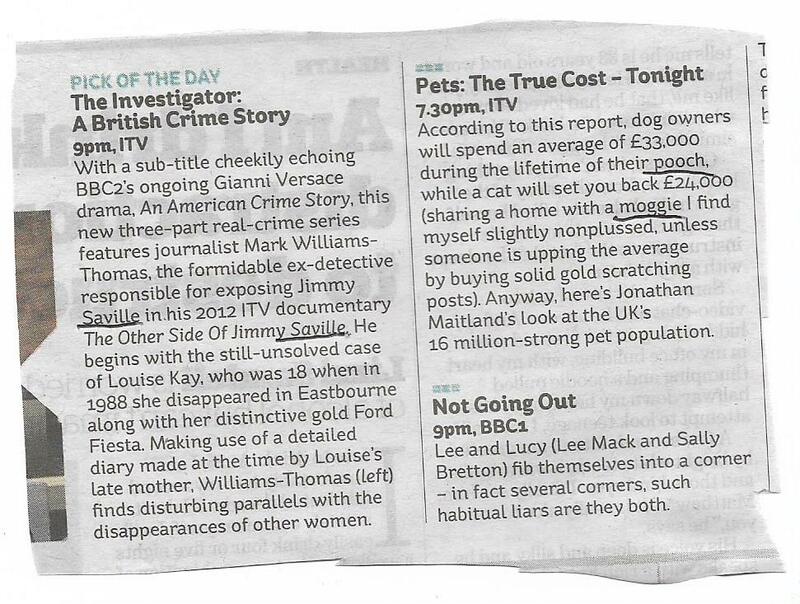 ‘Pooch’ and ‘moggie’ are silly words that were old-fashioned 50 years ago, like ‘toff’ and ‘cad’. This is unforgivable. 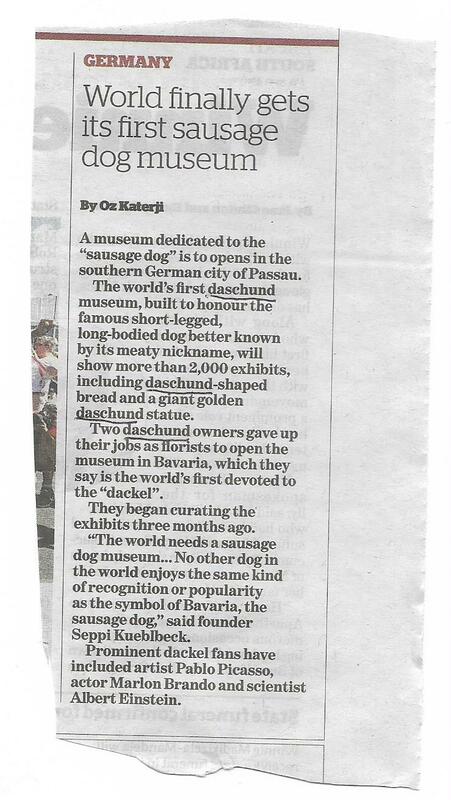 The correct spelling is ‘dachshund’. ‘Daschund’ is not even close. It’s not even the right number of letters! In the intro, ‘to opens’ is sheer carelessness. In the last par, is it really necessary to point out that Picasso was a painter, Brando an actor and Einstein a scientist? These must be among the best known names of all time, and anyone capable of reading a newspaper would not need the job descriptions. I can only assume that the person handling the story had not heard of them. Another case of taking money under false pretences. 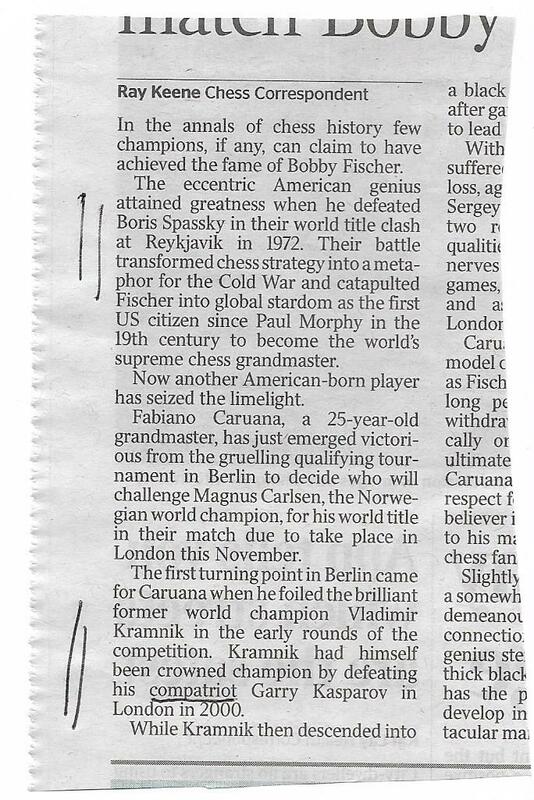 I’ve just noticed that in the fourth par it says that Caruano will challenge the ‘world champion’ Carlsen for his ‘world title’. I give up. For the nth time, anything that comes from an egg ‘hatches’ or ‘is hatched’. It is not ‘born’. Maybe I will see it done correctly before I die, but it doesn’t seem likely. Ducklings are ‘nidifugous’ (Latin: nidus nest, fugere to flee) which means they are able to walk, swim and catch their own food as soon as they hatch. There are no ‘first tentative steps’. 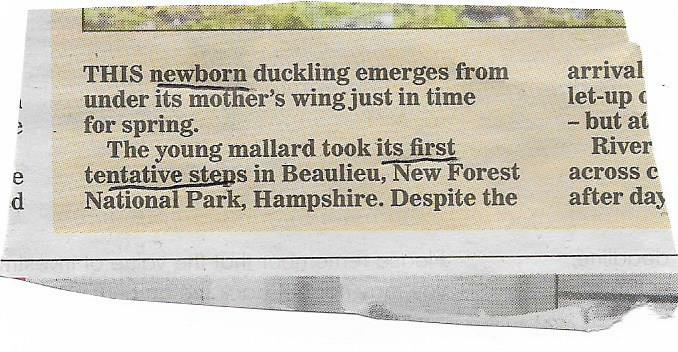 This is not an obscure piece of knowledge – anyone who has seen young ducklings must be aware of it. I’ve said it before – there seems to be an attitude these days that knowing anything about nature or science (or Latin, for that matter) is ‘nerdy’ and that it is a badge of honour to be ignorant. How sad.